Coconut water, which came to fame as a celebrity health fad, has become an increasingly popular way to stay hydrated or recover after a workout. Filled with electrolytes like sodium and magnesium, the slightly sweet water has come to be seen as a natural alternative to sports drinks like Gatorade. That reputation may not be entirely deserved. According to a report released today by an independent health-product testing firm, the nutritional content of some brands of coconut water doesn't live up to what's on the label. Researchers at ConsumerLab.com tested the sodium, potassium, magnesium, and sugar content of three leading brands of coconut water, and they found that only one, Zico Natural, contained the stated amount for all four ingredients. Health.com: POM-boozled: Do health drinks live up to their labels? The sugar and potassium content in the other two brands, Vita Coco and O.N.E., also matched the label. But the amounts of sodium and magnesium—two nutrients key to hydration—were as much as 82% and 35% lower, respectively, than the listed amount. Since the electrolyte content is one of the main selling points of these drinks, thirsty consumers may not be getting what they paid for, says Bonnie Taub-Dix, a registered dietitian and spokesperson for the American Dietetic Association. "When something like this becomes wildly popular, people have a tendency to look at the claims rather than reality," says Taub-Dix, the author of Read It Before You Eat It. "If you're working out and sweating a lot, this isn't going to do the trick." Taub-Dix recommends hydrating with water instead and getting nutrients like sodium and potassium from foods such as bananas and almond butter. And unless you're running a marathon or climbing mountains, she adds, you probably don't need a sports drink. Tod Cooperman, the president of ConsumerLab.com, says the growing popularity of coconut water got the company's attention and prompted the testing. "This was really the first look into what's really in these bottles and whether or not they live up to their claims," he says. "If you enjoy the taste of coconut water, they're fine, but I wouldn't rely on them for rehydrating after strenuous exercise," he adds. Arthur Gallego, the director of communications for Vita Coco, said in a statement that he could not comment specifically on the report, as the company has not thoroughly reviewed it. 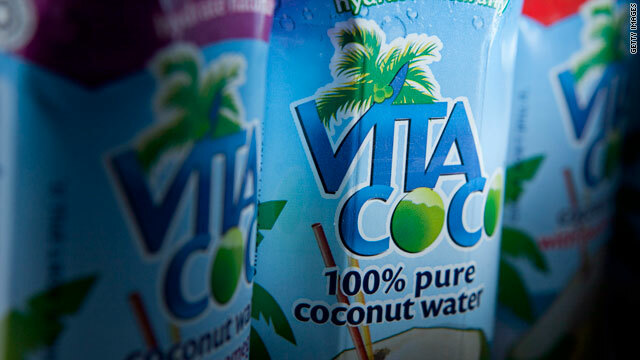 He noted, however, that Vita Coco is derived from coconuts grown in multiple locations in Brazil and Southeast Asia, and that the individual cartons tested by ConsumerLab.com aren't necessarily representative of Vita Coco's average nutritional content. The company routinely conducts its own tests, and some variation in electrolytes between batches (or lots) is normal, he added. The Food and Drug Administration (FDA) does not test the nutrient content of foods itself, and the agency does not specify how companies should do so. Nor do they do prohibit food and drink manufacturers from using average values if the nutrient content varies from batch to batch, as long as "a manufacturer is confident that the values obtained meet FDA's compliance criteria." The test results don't mean that consumers should pass on coconut water altogether. Though some cartons may contain lower-than-expected electrolyte levels, the drinks are a healthy, low-calorie alternative to soda or fruit juice, Taub-Dix says. "If you're looking to cut your calories and looking for something tropical, sure, but when it comes to hydration, it may not work as well as some other fluids," she says. Maybe it doesn't have all of the promoted bells and whistles, but it is still a healthy choice when compared with sugar laden, artifically colored and flavored drinks that also cost 2-3 bucks a bottle. I like both fresh and packaged. A cold glass of coconut water after a long walk is very refreshing. Indeed. There is no disagreement about the refreshing nature of coconut water. But when you do a hard workout, you lose a number of electrolytes and salts via sweat. So, you need to replenish them. If they claim their product will help replenish those salts, but it does not, it becomes a false claim and could potentially harm the person. But then, why don't they just enjoy a class of coconut water as they would enjoy a glass of iced tea or a soda pop? The health label on natural juices should just give a range of value for ingredients. The current label would probably be fine if a large enough sample was taken but if it seems to defy common sense that the label will exactly match every can or bottle of fruit juices. That kind of uniformity can only happen for drinks that are "constructed" in a factory, not in a plant. So if you enjoy it, then go ahead and drink it. Also drink plenty of water and take extra salt if you feel the need. NUUNs are the best thing I've found for hot weather running. They're electrolyte tablets that dissolve in water, and are only 6 calories (not that I really care). The best thing about them is they allow you to retain water when it's super hot out. After that, plain ol' water works perfectly fine for re-hydrating, or a nice chocolate milk if you need the protein. I heard on Dr. Oz that coconut milk will prevent diahrrhea when salt is added and one more ingredient which i couldn't remember at the time. I tried the coconut milk and salt and it stopped diahrrhea. All I know is, It worked when nothing else would. Additinally, It is healthier than Pepto Bismal. So the spokesman says that the test results aren't reflective of the average results. Hahahaha. The testing lab just happened to pick bad cans. But if there are average results, then there must be cans with a lot more than the listed nutrients. Can you say "liar"? Okay, let's recap. Article starts out with dire warning about coconut water labels lying to us... then proceeds to explain how it doesn't really matter, because the government is fine with varying batch levels of sodium and whatever. So there's really nothing to worry about. And no reason whatsoever for this article. Someone needs to write an article warning the world about pointless articles. LOL, I thought the same thing. So because the government says there's nothing to worry about, there's no reason for this article? Uh....okay. Look at the statistics for cancer the last 50 years before you call an article challenging nutritional and ingredient content pointless. Half the crap that kills us today comes from what we're putting in our bodies, and that government you trust so much is more interested in the Trade market than it is in keeping YOU healthy. Articles like this lets us consumers who care know what's the deal, and not pointless. I do not find the article pointless since I have been hearing about coconut water but have not tried it yet. I needed some information, and I got some. I also got some good information from a post or two. I agree with Taz that our cancer comes from the junk we put in our bodies (as well as other unhealthy habits like lethargy). I definitely avoid items with high fructose corn syrup, and I plan on avoiding high maltose corn syrup too. I suspect that is just another way of giving us extremely high sugar doses for our burned out taste buds. I found the article useful for what I needed to know. Jeez it tastes tasty anyway so why should we care if its good 4 u or not? It's tasty, all right, if you like the taste of dishwater. Please refer to the film Idiocracy for more info on Electrolytes. Coconut Water – The Thirst Mutilator! It's got what plants crave! But it's got what plants crave! So, who payed for this article Pepsi or Coke? Any takers? and Coke is invested in ZICO and Dr. Pepper Snapple Group own Vita Coco. i think someone at consumer labs needed a project and what's better than a hot new celebrity fad, you can take some steam out. i really enjoy that ZICO is accurate in all of their readings–i drink this brand–and am glad to find out the others didn't match up. Did you know that Vita Coco has had a theme with misrepresentation? They used to add ascorbic acid to their coconut water without listing it; now they do list it.. Luckily, customer service spilled the beans and i've been hooked on ZICO eversince. If it DID NOT come out of a coconut, it's NOT coconut water! I feel dumber after reading this. Don't feel bad. At least you can read. I worked for a company that manufactured coconut water products. Frozen coconut water of miniscul amount, added coconut flavor and many additional additives. Average cost to manufacture..47cents. Hey, I thought it was 48cents. Oh my! (Love the startled cuconot, BTW)My DH doesn't do the laundry. Anymore. Way back when, he would occasionally throw in a load and almost always I would sigh as I lint-brushed the dark clothing that had been washed with a white towel. The last straw was a load of whites that came out pink. Well, it was a red and white skirt. If it has white in it it goes in with the whites, right? Um, no.Commiserations on getting the cuconot out of the machine. It's a natural product- not some overly processed synthetic concoction. You have to expect some variation. I live in fly-over land, and I never opened a young coconut (imported from Thailand) that hadn't already gone bad—the pulp was lavender in color, and the water smelled and tasted like someone added a shot of Pine-Sol. So bottled (or canned, as I'm about to suggest) is pretty much my only option. T.A.S. brand Coconut Water (pulp free) in a 10.5 FL. OZ. aluminum can. Product of Thailand. Ingredients: 100% Young Coconut Juice. As always, chill before serving. You're welcome. Thanks for the comment. T.A.S. is the brand I buy from my local Asian supermarket, simply be default (that's the brand they carry). Glad to know what I'm drinking is a good choice (and cheap! hit up your Asian markets people! $21 for a case of 24 12-oz cans). Yum! I have tried many brands, including Vita Coco, and they all taste bad. I think the best tasting one is from Naked. Correction. A California thing. I live in WA, on the west coast, and I've never even HEARD of this before, ever. This is just another gimmick, before this it was acai berry juice before that pomegranate juice, before that it was vitamin water, before that ice that came from the north pole etc. It is is all just marketing. No body drinks water any more because it has no sugar or flavour. Anyone who believes anything that comes in the form of a few studies who hide the funding parties and use a lot of maybes, mights, and coulds, deserves to be parted from their money. oh so very very good taste in the mouth coconut water. Boo Xang like. Make me feel like very very nice. If it's a processed product then there is no way to tell what's in it. The government does not care, either. The agencies that might protect you are bought and paid for by the very people they regulate. What could go wrong with that? It's nice that processed products have labels but the requirement to be accurate is a bit thin. If food producers can't even get simple calorie counts correct imagine what they do with the list of ingredients on the label? "Gilligan, drop those cartons of coconut water!" – "Okay Skipper!" – (BONK) – "Owwwww! GILLIGAN!!"! – "Sorry Skipper." If I needed Na I could just simply get it from table salt or a bag of chips. Just drink it from the coconut....costs like $1.50. Mr. Coco Nut lives in Jamiaca, he don't taste so good. I lived in Kenya for five years and used to get the real thing right out of the young coconut. I do not know what this packaged stuff is like, but the real thing has a zesty flavor that tastes nothing at all like ripe coconut. The meat is thin, translucent white and very soft. It is really good, but again, it tastes nothing like ripe coconut. I had a can of coconut milk a few years back and the taste did not even resemble the real thing. One thing that you have to taste to believe is a cashew apple. This is the fruit to which the cashew nut is attached (kind of like a semicolon). The fruit is only ripe for a day or so but the taste is like a huge whiff of exotic perfume. Unbelievably good. The best fruit on earth. You all should know there's a difference between coconut MILK, coconut JUICE and coconut WATER. Milk looks thick milky white, thicker than dairy and it smells like suntan lotion. The juice version is laddened with sugars and chemicals with only about 30% natural content. This article talks about coconut WATER and the labels can come with 100% natural content. Someone above mentioned the T.A.S brand, I love their coconut WATER cans ($1.19 for a 16.9 fl. oz can) but look out, don't confuse with their coconut JUICE cans which can run 1/3 cheaper. What about the debt people ! What about debt ? Forget this coconut cr*p .
The comrades and I loved coconut water. When you drink it from a local coconut, in the Caribbean, it does what they say it does. Best thing for you. Anything else, stuff that's been sitting there for days, canned, bottled, trucked in, flown in, forget it . The whole point with anything, is to eat it there, on the spot. or drink it. That's how it all works. i have tried them all and ZICO by FAR is the # 1 in taste! Being Cuban, Dominican and living in SOFLA I have had the real thing as well. The article on CNN.com and the ConsumerLab article on the testing is incomplete. Meaning there are studies in the literature that have found coconut water the same (not different) than the leading sports beverage (i.e., Gatorade) for ability to rehydrate. In fact studies from around the globe have found that beverages other than the "Gatorade's" have been used and found in studies to support rehydration and hydration to the same extent or better than the typical sports drink. This has included water and a carbohydrate-protein drink as well as milk. Perhaps the parties who posted this article and CL – itself should have first done a literature search of PubMed, Google Scholar and the various Annual Conferences and sports and nutrition societies and this would have been clearly evident to them. The purported health benefits aside, I tried a quart of the Zico brand and found that it tasted... odd. Not foul, but not nummy, just kind of faintly icky. Nothing I particularly want to drink again. Only straight from the coconut – without all the additives – is best. I have tasted many of the packaged varities and none come close enough to the real thing and with all the added sugar I not so sold on the rehydration benefits. How about drinking fresh Coconut Water? Where I live you can always find Coconuts full with water! Don't listen to 1 thing the FDA says.....they're in bed with Big Pharma and don't give a damn what Americans are putting into their bodies cause they'll always be a pill for it. So of course they won't support any food, nutritional supplement or anything else natural that would actually be healthy additions to the lives of most Americans.....god forbid. The veracity of this article was challenged in the second sentence– POTASSIUM is the major electrolyte found in coconut water. Was this one of those new computer-generated "articles"? Coconut Palm trees are cultivated in over 80 countries. In the United States they grow in Hawaii, Florida, in Newport Beach along Pacific Coast Highway), the US territories of Puerto Rico, American Samoa, US Virgin Islands and Northern Mariana Islands. They prefer the coastal areas because they need lots of sun. During the Pacific War it was even used as emergency plasma on wounded soldiers because of it purity. The Journal of Endodotics claims that coconut water is better than milk when trying to keep a tooth viable until you reach dentist. Coconut water is just new here in the US–Millions of people have been refreshing themselves for centuries elsewhere. Naturally refreshing, coconut water has a sweet, nutty taste. It contains easily digested carbohydrate in the form of sugar and electrolytes. Not to be confused with high-fat coconut milk or oil, coconut water is a clear liquid in the fruit’s center that is tapped from young, green coconuts...;..
Chumlee is one of the nicest celebs. Hard to believe people are posting false stories that he died on the internet. He lost a lot of weight yes! But not life for christ's sake.